Custom-made dentures are more than prosthetic devices. They give you back your smile, helping you speak, chew, and feel like yourself again. Gary Wegmann, DDS, and the team of licensed denturists and dentists at Chicago Family Dental Center are highly skilled in the art of fitting and making dentures. Located in The Loop of Chicago, Illinois, the accomplished team can help you speak, eat, and smile like you used to with the best denture option for your lifestyle. Book your consultation online or call today. Typically, receiving new dentures involves at least 3-4 in-office visits. All dentures are constructed by licensed denturists in an on-site dental lab at Chicago Family Dental Center. You can see your dentures throughout the process, which is a significant advantage. Your denturist can make adjustments and changes along the way to ensure the ideal fit and most aesthetically pleasing finished product. If you're in need of full dentures because you've lost your teeth due to decay, illness, or injury, you could be a perfect candidate for immediate dentures. Immediate dentures can be placed quickly, meaning you don't have to live without teeth for any period. Be aware, though, that as your mouth heals from the loss of your natural teeth and immediate denture inserts, your dentures require relining to ensure the most comfortable and accurate fit over time. Are partial dentures the right choice for me? Book a free consultation at Chicago Family Dental Center to learn more and determine if acrylic (metal-free) partial dentures are the best solution for you. If you're a well-suited candidate, the rigid frame provides sturdy support for chewing, particularly when you're missing molars. No dental adhesives are required. The acrylic frame anchors to existing natural teeth to keep the dentures in place. Acrylic partial dentures can effectively replace several missing teeth. The licensed denturists at Chicago Family Dental Center offer many types of denture repairs that can often be completed in a few hours. 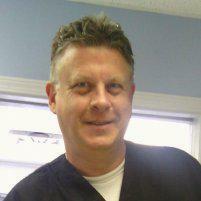 They can repair your existing or custom set of dentures on-site. Call today or schedule a denture consultation online to learn more.